Apple Mac devices are widely popular among the users due to its incredibly secure OS X which safeguards from a wide number of malwares and an incredible set of features which makes laptop more productive. Apple has introduced a SplitView feature in Mac OS X which allows users to quickly and evenly divide the screen between two programs which aid in multitasking. Most of the users sadly don’t know how to use the SplitView feature which limits their ability to get more out of the Mac device. 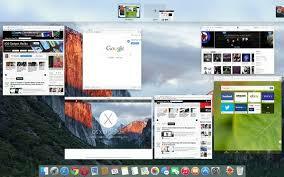 Here are some smart and simple steps which will help in dividing the screen in Mac OS X. How to access the Split View Mode? Boot up your Mac device and select the open window of the first program you wish to use. Now in the upper left corner of the screen click and hold on the green button this will launch the program in full screen mode. If nothing happens on pressing down the green then open Mac’s System Preferences from the Apple menu or from the Dock icon. Give a click on Mission Control and ensure that you had enabled the ‘Displays have separate Spaces’ in the settings. 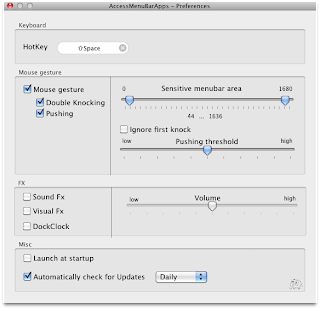 In order to shrink the window of the program simply ‘hold’ down the mouse button or trackpad. 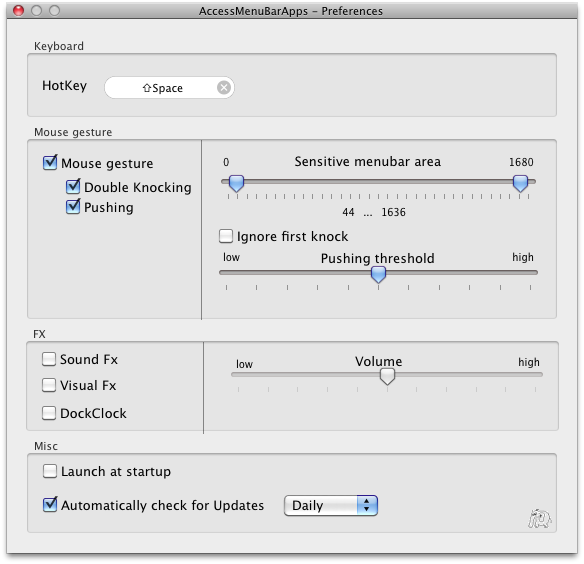 Now drag the shrunken window to the side screen you prefer and let go of the mouse button or the trackpad. In order to bring another program in the Split View mode or in the half of the display screen give a click on another window which will make it pop up. Now simply fill the other half of the screen right next to the first program you had chosen earlier. You can easily see both the chosen program windows are filling the screen in an evenly manner. In this Split View Mode users can easily switch back and forth between the two programs simply by clicking on them. How to get two programs in Split View when one is already in Full Screen Mode? In case you are already working on a program in full screen mode and wish to start the Split Screen mode then follow these steps. Go to the Split View by opening the Mission Control, give a click on Mission Control in the Dock or simply press the Mission Control Key on the keypad. Once the Mission Control view is open, drag the window of your opened program right onto the thumbnail of the program open in full screen mode. Now you will see two programs running smoothly in an evenly divided screen on your Mac OS X. How to move out of Split View Mode? In order to get out of the Split Mode simply give a click on the green button present at the upper corner of the screen and it will bring back to the standard Mac desktop mode. Users can also simply give a press on Mac’s Escape (Esc) key to get out of Split View Mode. Apple distributes the new version of OS X. 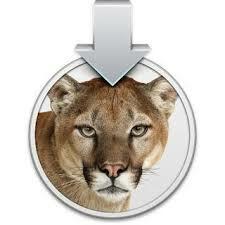 This revision 10.8.3 is available via the Mac App Store for all users of Mountain Lion. Its beta test was particularly long since started in the last days of November 2012. • Integration of Safari 6.0.3. AutoCAD on the Mac App Store, it's the turn of his older brother to AutoCAD makeover. 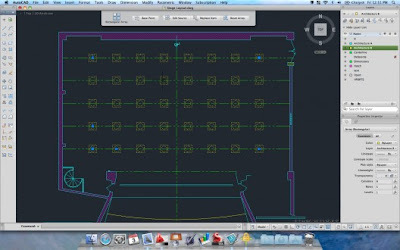 AutoCAD 2012 has been revised to better integrate with OS X, and consider some of the latest operating system from Apple. Autodesk is so very proud that his software computer aided design is a fully native application interface with a "modern" - remember that AutoCAD 2012 is the second version of AutoCAD running on OS X. The application and adopts an operation similar to that of all other native applications, and is fully compatible with such multi touch gestures. Compatible Lion without taking into account all its new features, AutoCAD 2012 is available at $ 3,995 (€ 2,800). The German publisher nova media offers new Mac OS software to synchronize a mobile device Android with his Mac. As doubleTwist before him FoneSync looks like the iTunes Android Smartphone and tablets, at least in terms of synchronization. His presentation is so very close to the Apple software and FoneSync can also sync media (music, videos and photos), but also its data as the address book or calendar. Mimicry of iTunes goes a long way, there are exactly the same form used for space and can synchronize virtually the same elements, and play lists for music events in iPhoto. Counterpart of this tight integration, FoneSync does not work with all Smartphone Android, far from it. Currently, the application is only compatible with two Nexus Google phones from Samsung, Sony and Motorola. HTC expected to follow those, but if you are not listed, you cannot use the software. The publisher does not specify whether the tablets Honeycomb are compatible with its software. By default, the Server Admin application that allowed far more depth to configure the system is not even installed in Mac OS X Lion. One can nevertheless add, and with it the set of tools dedicated to the server configuration that will take place in / Applications / Server. The Admin Server no longer supports Mac OS X Lion in that which is not managed by the application server. Only certain services, or some advanced options are accessed through its interface. Most users with only limited needs and will not even have to use Server Admin to be a must on the contrary, in more complex configurations. Server-side preferences are indeed very small. Apple took a big household, leaving only the options that are strictly necessary in the context of use with a Mac Mini Server for a small business for example. The interface is simple, many explanations: the audience for this new application is very different from the Server Admin. On average, Apple has simplified its system server, but some new features should also satisfy the most demanding users. One example among others, Open Directory (centralized directory service) can now be restricted based on client IP addresses. This is useful for large companies who must manage a large fleet of machines with a single shared directory. This is one of the biggest new features of Mac OS X Server Lion: a profile manager for IOS devices and Mac OS X. This system allows you to configure mass of iPhone, iPod touch or iPad by simply passing through a web interface. The terminals can be configured as standard (password required, VPN, etc. ), But also managed remotely (that is to say, deleted, locked or unlocked). 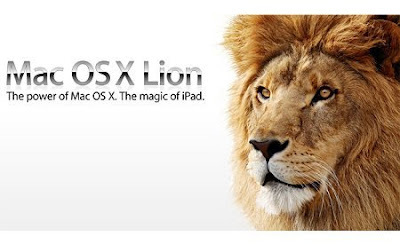 With Leo, the system is added to Apple computers, provided only that they run on Mac OS X Lion. A network administrator can configure and manage remote machines much easier than before. With Leo, Apple Exchange Server is in depth the variation of its system. Until Leopard, Mac OS X Server cost € 500 for 10 users, or € 1000 without limit with version 10.6, Apple had already lowered its prices by removing the version limited to 10 users, and not selling more than the unlimited version to € 499. 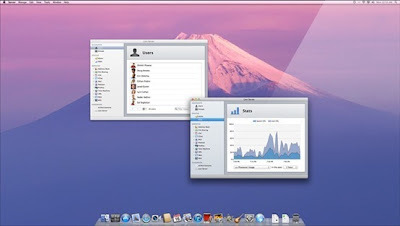 Apple goes much further in its next system since the company removes just Mac OS X Server as a system and makes an application for Mac OS X Lion client. As of July, for € 39.99 only, any Mac running on Lion will become the server and perform all the functions previously reserved for Mac OS X Server. A major change that goes in the direction of a general simplification of server functions: Apple aims to create nothing less than "the server for all’. For all, that is to say for every budget, but also all the machines. While Mac OS X Server was rather designed to run on the Xserve, Mac OS X Server version lion can run on any Mac, as shown it very well the Apple site. Prior warning before you install the Server configuration back to a Mac OS X Lion client is difficult. 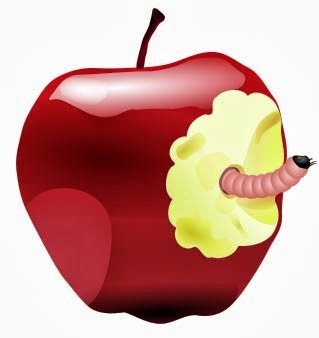 In the current version, Apple offers no simple way to go back, it is necessary to reinstall the system. However, Mac OS X Server configuration lion looks like two peas in Mac OS X Lion client (even this is Photo Booth ...) and it is quite possible to install the Server on a machine to be used for everyday use. 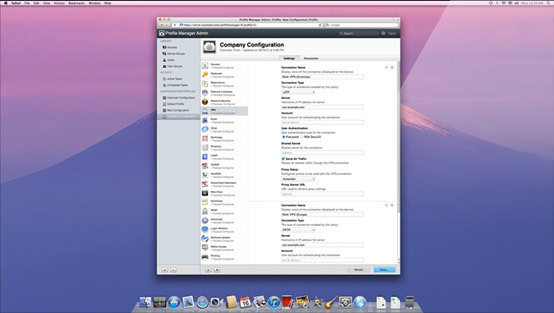 Mac OS X Server Lion, Apple offers an entirely new application configuration for the server. 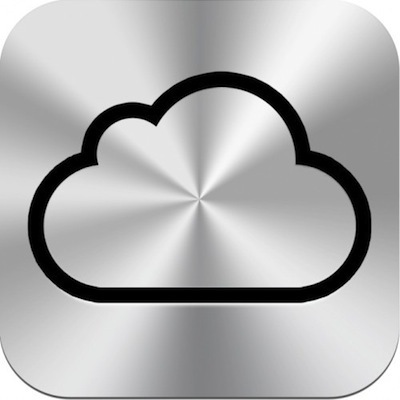 Server named simply, this application provides easy access to some of the options for Mac OS X Server and somehow replace the server preferences from previous versions. For this application, you can manage users and groups, the various services or get some useful information on the server. "Using icloud PC requires Windows Vista or Windows 7; Outlook 2010 or 2007 is recommended for access to contacts and calendars", says Apple. Yes, Windows XP is not compatible with icloud, which operate on iTunes yet 10.3 and MobileMe. Apple has always been very conservative with Windows, preserving a great backward compatibility because of the unwavering support of XP users to their OS. If Vista was not convinced things are different with Windows 7, which is gradually forgetting his great ancestor. As does Microsoft itself, moreover, Apple thus moving towards the phasing out of Windows XP, which remains the operating system most widely used. Remind all intents and purposes that Apple is much more aggressive with its own OS: it has always supported the version of Mac OS X and the current version. Thus, iTunes 10.3 is only compatible with Leopard and Snow Leopard, and it is not surprising that the media is full icloud as Lion and Snow Leopard. The site Macworld gives a tip to force Snow Leopard to check his list of definitions of malware is updated and the check itself. The handling is first to open the Security pane of System Preferences, then in the General tab, uncheck then recheck with the option "Automatically update the list of safe downloads. As this panel does not indicate the date of last update of this information (associated with this panel does not outright mention this new option). This requires running a command in the Terminal. 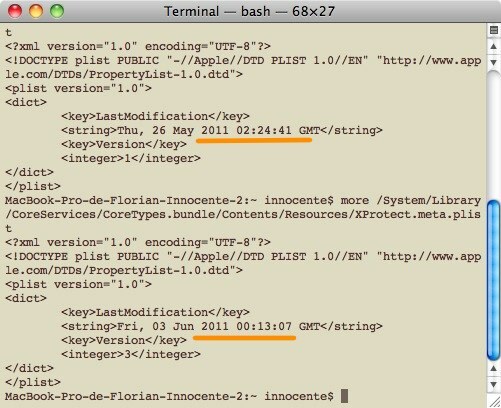 In our case, before touching the election, the date returned was that of 26 May, after handling in preferences, the terminal indicates that the last update by Apple file malware of today. need to check every day what is happening in this file, remember that the malware in question - MAC Defender and its variants - is not a virus, but an application masquerading as something it is not. But until a panel of preference may be more informative, it's always good to take a trick. The document manager DevonThink had a major update which mainly concerns the function of adding to the manager from a web browser. The publisher updated its extensions and the addition now passes through a window semi-transparent. We can change the title, add a few notes and keywords and choose the document format and the folder that will store the web page. Also on the program, a concept of workspace provided for the Office Pro edition which is to fully safeguard the status of the application to restore it later. DevonThink Pro Office 2.1 also improves compatibility with Outlook and Entourage while all options are entitled to a new home screen and numerous bug fixes. The Mac App Store has not yet been updated. Also updated MarsEdit, the authoring tool for bloggers. Version 3.3 introduces a new full-screen mode that allows you to concentrate on writing an article; this full-screen mode creates its own space in Mac OS X Lion. MarsEdit now supports transformations from text editor and you can ask the system to read text from this window. A new option sets the font sizes of the main window while the fast mode of writing preferences is now entitled to a preview. MarsEdit 3.3 finally fixes its bugs. 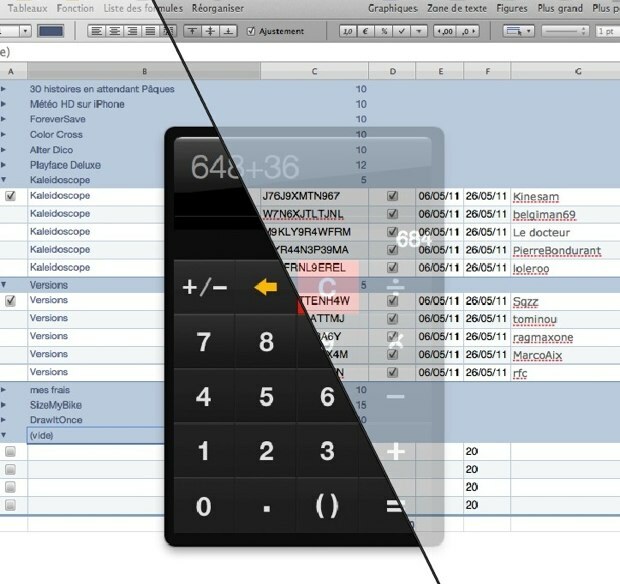 If you find the calculator's default Mac OS X a bit antiquated, Handy Calculator tries to provide an interface more elegant and practical. Like Apple's calculator, Handy Calculator is always in the foreground, but when it is no longer used, it becomes partially transparent. What display the content behind everything possible to return to the calculations if necessary? The calculations are done using the Mac keyboard, or the application's virtual keyboard is easier to manipulate the mouse. The result can then be copied using the usual shortcuts or clicking on the outcome directly. Like every week, so here is the test of the week and inevitably, it falls on the Apple iPad 2. We had a little twist on Friday with the test of Nintendo 3DS, but promised it tries to stall for Monday and thus remain steady. With pictures and other presentations during his posting here, I will briefly review the design. As you can see, it's thinner and smaller chouille. With its renewal, he has lost at least 80g on the scales. Quite honestly, to use the 80g will make no difference or very little. By cons, and that's where the Cupertino company has succeeded is the feeling that we gain in terms of weight. 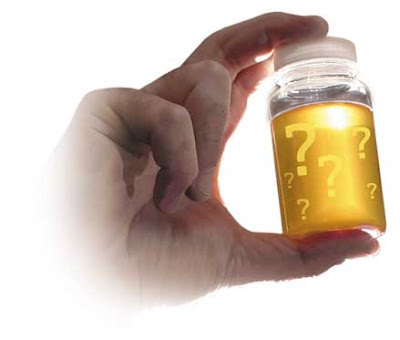 Indeed, the first time you take in hand, you really feel it is much lighter while the difference is only 80g. The thinness of the device is probably not foreign to us grasp this impression is because the better the shot. This is especially evident with the SmartCover. The grip has been revised and we must admit that it works. Note also the back straight, which results in not to swing the camera when he is on a flat surface. According to the general design is a matter of taste. Now with a white version and a black version, needless to say that the black version is more class, cons for the white version, it can serve those who use an iPad for reading books. In drafting, it is pretty unanimous, one preferred design for the iPad 1, sharper and more modern somewhere, even if the finish is still flawless. Regarding performance, the new Dual Core processor A5 does its job and makes the difference compared to a processor A4 is faster and more fluid in use everyday. Obviously, this does not show on current applications, but in general usage and optimized applications such as Real Racing 2 HD Infinity Blade, it's pretty obvious, it loads faster and it does not during the saccade Exit Thurs sometimes lag between orders and the game This is probably even more impressive when you leave Real Racing 2 HD 1080p on a big screen following his future update (see here). As long as you can plug in a controller in Bluetooth, you could have a nice portable console. If you want numbers, there are tools like Geekbench and after the different results gleaned from the web, we obtained an average score greater than 75% for 2 versus iPad iPad 1. Quick word to the screen that has won a passing LED backlight always with an IPS panel, which results in a better light and also a better contrast, especially in bright conditions. By cons, when the image is black or dark, we note two white lights at the bottom left of the screen, not very aesthetic. Although in normal condition, we will ignore these two lights, it's still annoying! For colors, I have not done any measurements or other but it seems rather homogeneous. Regarding the speaker, and although I found it better with a more clear and more powerful. Of course, nothing beats the real headphones or speakers but for the multimedia internet, not bad at all. One of the criticisms of the iPad 1, was his lack of video camera, and although Apple has listened somewhere since you now find a camera and a video camera. We regret the fact that Apple have been a little stingy on the performance of these NPC. Indeed, the camera only offers a video resolution VGA screen and a 9.7 ", it shows right away with that FaceTime uses the screen in its entirety! On the other hand, it is used to this kind of resolution for the video camera so we'll do with it, even if we would have liked even that of the 1.3 megapixels. What about the camera that lets you record video in 720p but provides a sensor with a lower resolution than the screen first (Photo of 960 × 720 1024 × cons 768). I invite you to view photos on Flickr to get an idea of ​​the poor quality of the sensor, especially in low light. Anyway, as I can understand the usefulness of the video camera, as the NPC, I remain skeptical. In fact, I do not see myself taking pictures or videos with an iPad at arm's length above the beast is still 600g, which is not nothing. It's like using a laptop to take pictures, it's a bit nawak, right? In talking with a reporter, he talked to me the idea of ​​being able to catch for a note taking. Even then, it must be adequate tool because the software integrated note-taking does not even allow, and then I think I'll go faster with another digital camera to take photos and iPad 2 take notes at the same time. In this regard, Evernote has been updated with the release of the iPad 2 to allow just taking pictures for a note taking. But beyond this specific case, I do not think the NPC is really necessary. I would, ultimately, preferred a video camera with greater resolution and no camera at all. With the video camera, needless to say that now exists in version FaceTime iPad. Nothing to add from the versions iPhone, iPod touch, or Mac OSX, it works the same way. For cons, the limited resolution makes it has big pixels on the screen because it is necessarily the full screen.Besides, it also hosts Photobooth, a small application that lets you take pictures of you and to apply various effects. I will advise you of the coup as an application rather IncrediBooth much more fun. A quick note on applications such as Mail and Safari that benefit from the increased RAM to store more in memory and therefore recover more quickly. Well, for autonomy, Apple had the right formula with iPad first name since found a similar independence from easy up to ten minutes. Now it's actually based on your usage. If you play a lot, needless to say that the battery will take a hit, though less than the iPad 1. But in general, no worries on that side! Moreover, these are the games that really uses the most. In my everyday use, a video in 480p than fifty minutes. AVI was 6% less autonomy so it goes! Needless to say that it will pass through a dock adapter / HDMI to 39 €. Once passed to the credit union, the joys of replication screen and frankly, it works well for both the video than anything else. And as things are pretty well made with a hefty price tag, the adapter works with other devices iOS last generation, finally after the presentation because I have not managed to run the adapter with an iPhone 4. Also, I remind you that this replication video format for now so 4 / 3 it will be on your external display. But when you know that Real Racing 2 HD arrives (see HERE) soon with 1080p output, it makes you wonder about the possibilities, albeit competition is already possible. 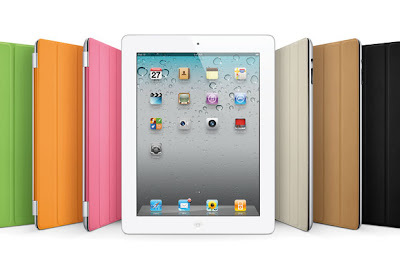 With iPad 2, Apple unveiled the SmartCover, a screen protector of the most astute. Indeed, binding to the manner of a MagSafe plug on the side of the iPad 2, it has more of a magnet that will ensure the iPad status when it is on the device. Similarly, when you raise the SmartCover, it will turn the iPad. Clever. Open type, it will protect your screen from scratches. By cons, you will not be protected from the dust that will also tend to follow grooves / folds than anything else, all on your screen of course. As the design, needless to say that the back of the iPad 2 will not be protected. Besides, I can only congratulate Apple for inventing the folding SmartCover since it will provide support for the iPad 2, nothing to say, it's super smart. In addition, if you fold in half and you just put it in the back of the camera, it provides a better grip of the device. For the latter, I do not know if it's done on purpose but it works really well with games that require you to take the iPad 2 as a controller. In small least we would have liked a magnet on the back of the iPad to hold SmartCover precisely when it is back. And since Apple is an accessory, it has a price, 39 € for the normal versions and 69 € for the leather version ... Yes, this is a business to Apple itself. So needless to remind you that the iPad 2 is an evolution of the iPad, first name. Apple has kept an honest and fair price, which is not worse. We can always rail against the rigidity of the OS, the system closed around iTunes does not support the flash, etc. ..., we must admit that this also works with the public. Obviously, until a revolution, Apple has upgraded its iPad for it at the technical level of its competitors. If you do not iPad and you expect this new iPad 2 to change the pitch then you can go, you will not be disappointed. For those who already have an iPad, unless you really need the video and you're a big player on IOS, you can go your way. For those who hesitates with a tablet Android, Blackberry WebOS or Tablet, you already know what is iOS with more and less. And when I see the new user interfaces that happen, to keep iOS only benefit the ecosystem already complete and mature. Apple has invited a few security experts to submit their comments on Mac OS X Lion. Apple has warned that they could get for free the beta for the assess "It contains several improvements in security countermeasures" says the invitation. 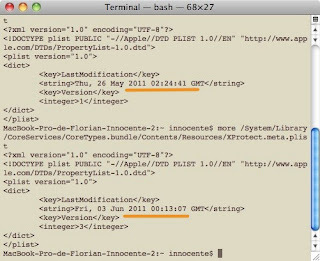 The select audience consists of people who in the past have made ​​up or found security flaws in Mac OS X. Examples include Charlie Miller used a year at trade fairs or Dino Dai Zovi, other lovers of this type exploits. Unclear whether the practice is common at Apple, in each preparation to the arrival of a new OS, for its part, but Miller could not recall any precedent. Although it is not paid a consultation in good and due form to pass Lion screened, he said that Apple comes out of its isolation "Finally, their safety issues come to mind." Miller as his counterpart have both said their respective twitters they could not reveal the content of their judgments, are bound by a confidentiality agreement as are developers.